Onepager lets small business owners setup a simple website in minutes. 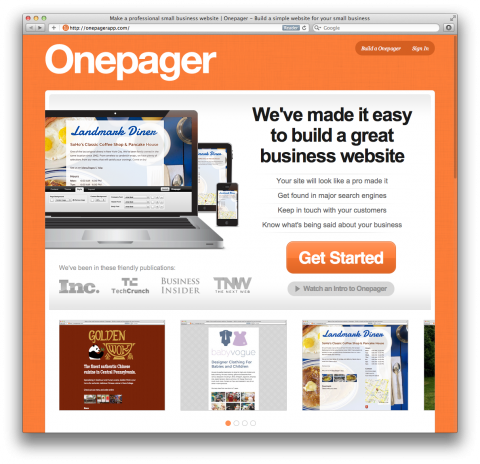 The Onepager interface allows you to easily update and maintain your website on your own. No need for a developer. Here are a few examples built with Onepager: Northport Golfclub and Landmark Diner. Onepager Introductory Video from Simande LLC on Vimeo. Do you know how much it cost to create a onepager? Give a try to http://www.eldonpage.com/ , it’s really simple and more user-friendly.